Sekinei and I left Yokohama probably a bit later than we should have the day before. The drive to Hyogo prefecture takes a good 6-7 hours depending on how many times you stop and the amount of traffic along the way. We arrived to our hotel around 930 or 10 at night, and I promptly showered and went to sleep while Sekinei went downstairs to the shared hot spring area. I figured I wouldn’t even try; the second time I was kicked out of an Onsen for having tattoos is the day I figured I wouldn’t bother with them anymore. Unless of course it was one of those really fancy, private outdoor ones in the mountains somewhere. At any rate, I was too tired to go even if I could sneak in. I awoke the next morning around 7am, not because my alarm went off, but by the slightly noticeable sound of rain hitting the window. There were some very low hanging clouds when we arrived the previous night, and while the forecast called for overcast skies all day, guaranteed rain hadn’t been on the agenda. 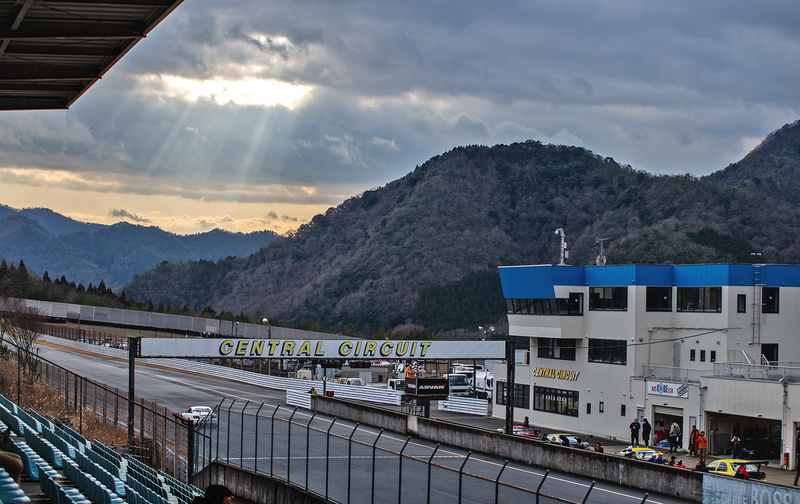 I crawled back into bed for a few more minutes, knowing that it didn’t really matter when we arrived at the circuit anymore, as the event would most certainly be pushed back. 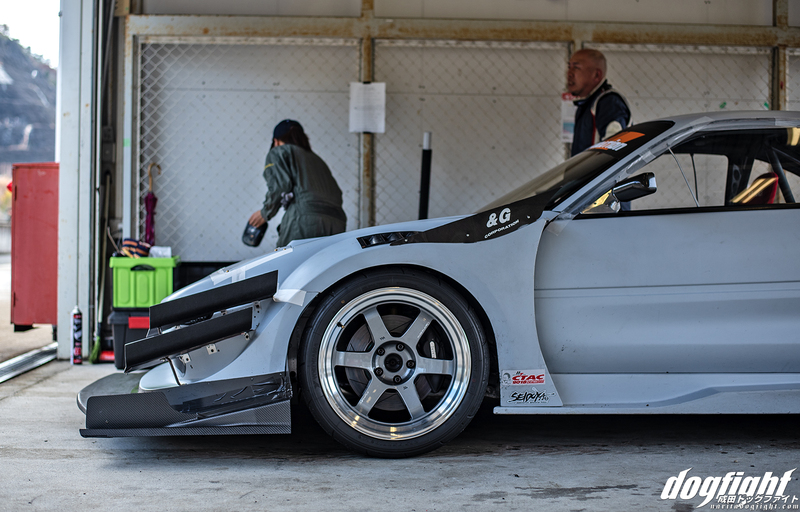 We headed down to breakfast around 7:45 with my mind in a cloud of partial disappointment mixed with slight relief knowing I’d have more time shoot cars in the paddock without having to run around the track to then catch them on their hot laps. This did pose a problem for my main objective however, which was capturing a handful of cars after the event segregated from the others for Volume 2 of 80R. I had spoken with a few drivers leading up to the event that were onboard with the idea, but now that the event was washed out, the majority of them loaded up early in an attempt to get home sooner. Most of the big guns that attend CTAC are there for the entire weekend; which means leaving Friday to be prepared for practice on Saturday. 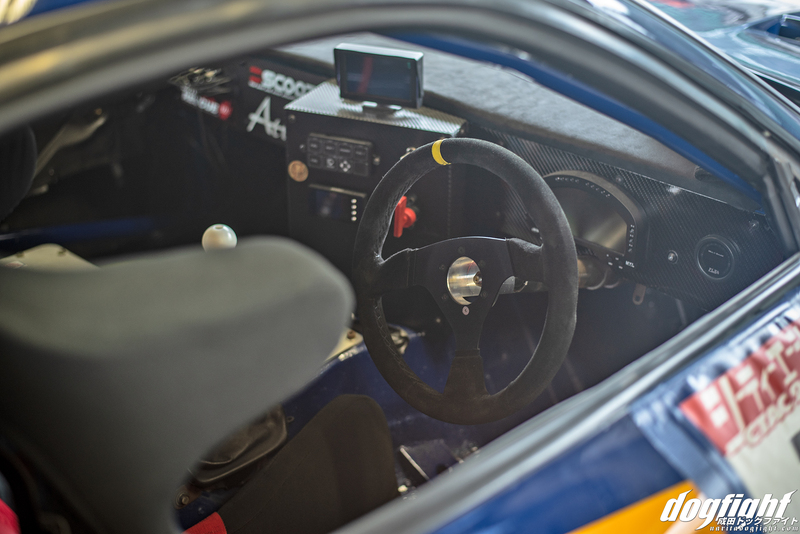 The Saturday before the event, the weather had been much more ideal, and having that seat time was satisfactory for a lot of drivers knowing that they weren’t going to get any meaningful times in the damp conditions on Sunday. I have a few goals for Volume 2 that will take it set it apart from the first issue, but unfortunately, I wasn’t able to realize any of those at Central Circuit this time. The day wasn’t a complete loss however, as the sun was able to fight the clouds back just enough in the afternoon to provide a window of clear skies for the Vertex class to put down some decent times. 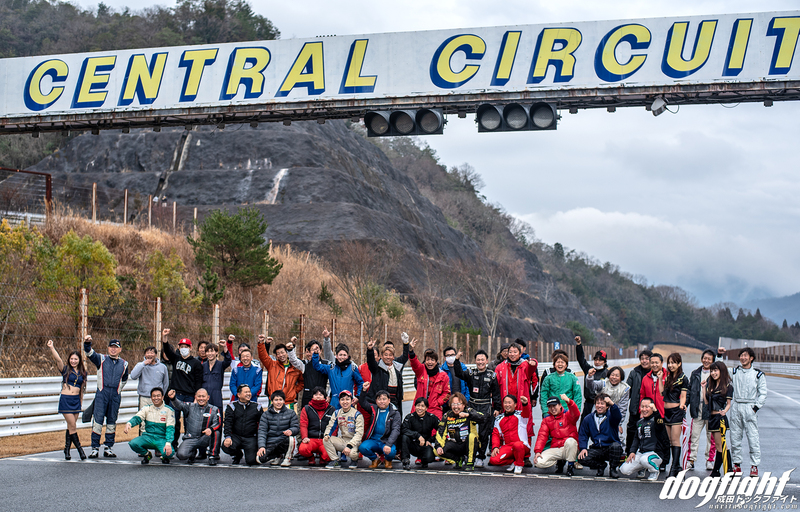 As soon as the rain stopped, the CTAC staff, as well as several volunteers, drove laps in their personal cars and support vehicles to try and pick up some of the water and create a dry race line. Just as they were making some progress though, it started to sprinkle again. The event finally started around noon with the first run group going out with a very cautious enthusiasm. CTAC splits the groups into groups based on their prior and forecasted lap times. 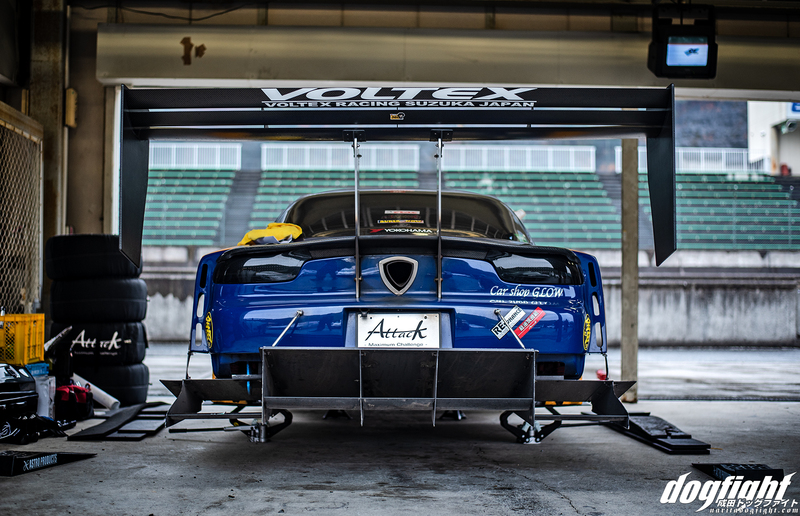 The VERTEX class, which has sub-divisions for turbo and naturally aspirated cars are among the fastest in the event and comprise the Super Lap portion of the day. A lot of these cars you’ve seen before on the site, or in 80R, but it’s always cool to check in with the drivers each year to see what’s been updated to the cars. 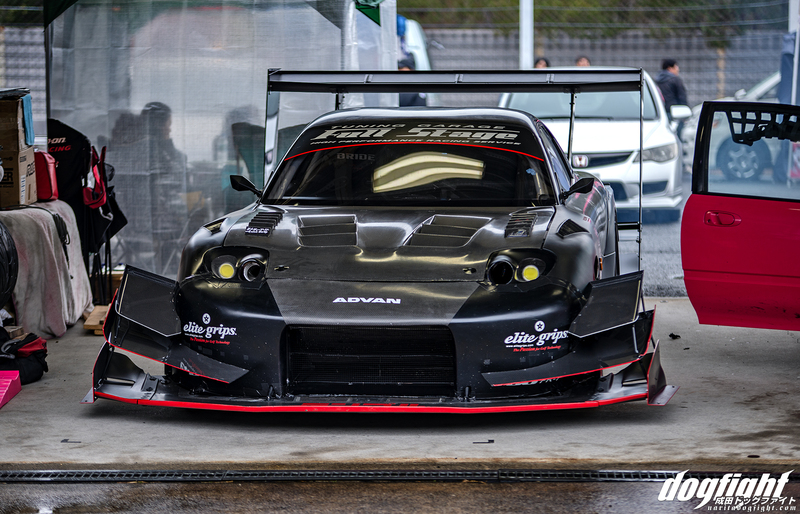 In particular, I was excited to talk to Hiroyuki again in regards to the Full Stage FD. The car never ended up going out on circuit during the event, as the team gaining anything from putting down laps in the rain was debatable at best. 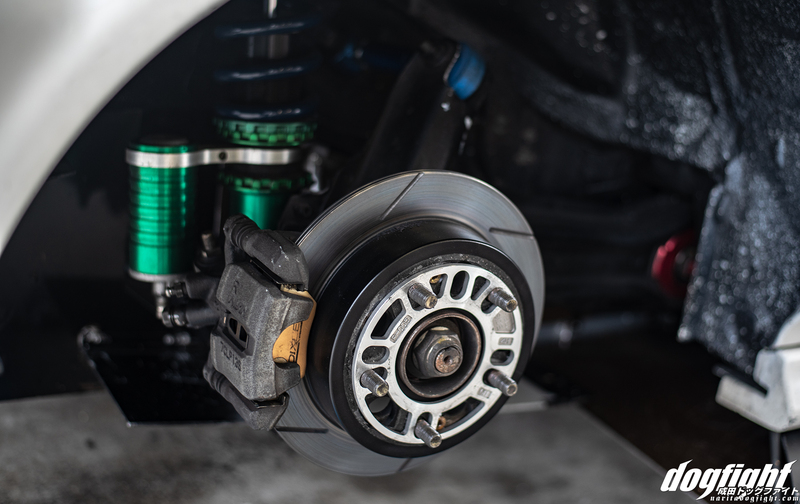 Nevertheless, the car has some pretty hefty upgrades, namely in the aerodynamics department that I was able to get some insight on; this car will be featured in Volume 2 of 80R, so I don’t want to reveal too much on site. 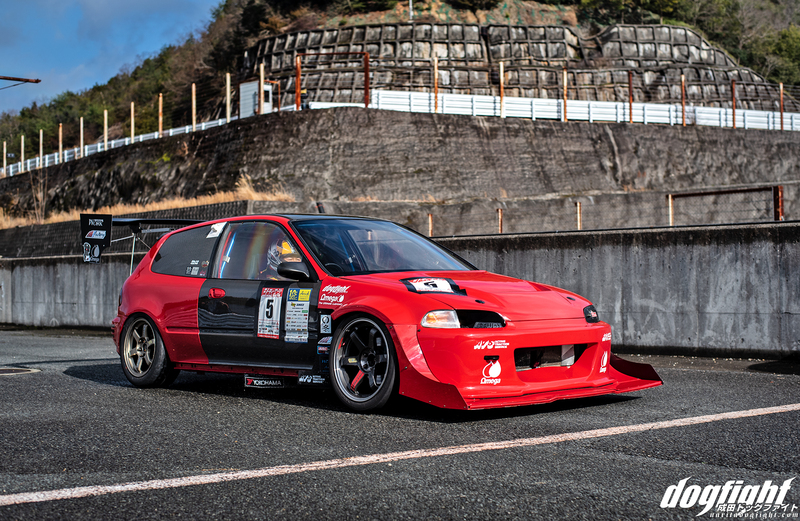 Horiton’s EG6 is looking top-notch with the new, much more refined, front aero package. 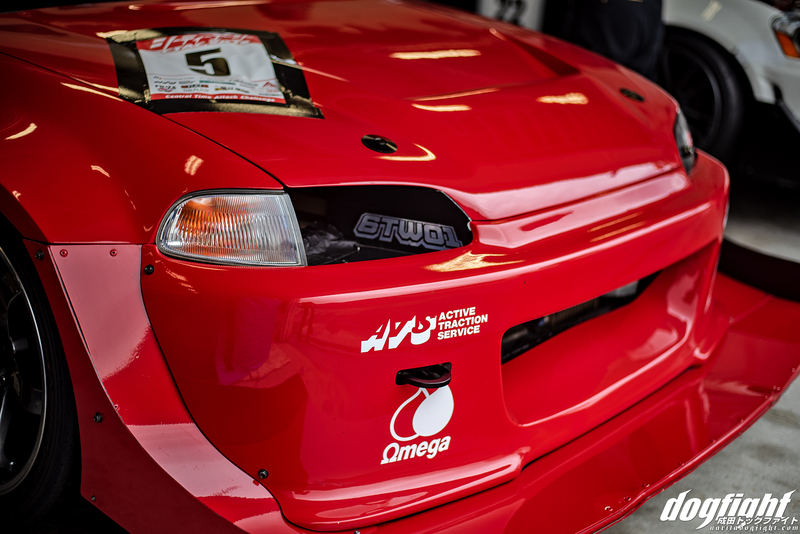 Ton and the team at ASLAN have been doing everything they can to take back the FF N/A record at TC2000 ever since HKS stepped up in the TRB-04 Swift to claim top honors. Really looking forward to Attack in the next few weeks here to see what they can do. 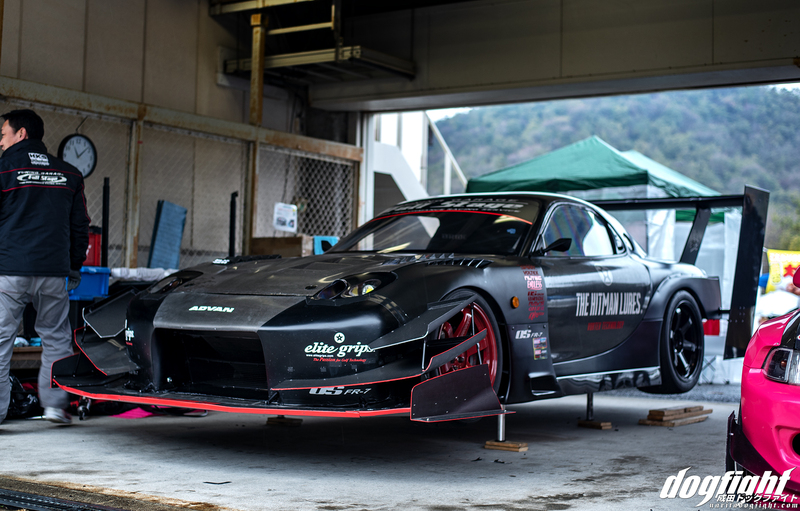 At Central, Ton was able to pilot the car to a safe 1’22.536 in the wet – a good 4 seconds off pace from his dry time last year, but still good for 1st place in his class; no doubt because Hiroyuki didn’t put a lap down. The Garage Work camp made a showing as usual; although sans a few cars. Unfortunately, Tokue had an incident similar to Iwata had years ago on the front straight at TC2000 and severely damaged the car. He walked away uninjured thankfully, but the car is going to take a long time to fix, and will most assuredly be missing Attack; I was hoping to see what he could do to contend for the record, but it’s going to have to wait another day. Ah, the price of racing. We were talking to Kubo shortly after arriving about his day and the weather, but I didn’t notice Iwata. Kubo pointed over to their support car and said he was reading inside because it was cold. So I went over to the car and surprised him by awkwardly staring at him until he noticed me out of the corner of his eye. These guys are the greatest, and remind me a lot of our group back home. Very serious, but never losing sight of having fun while doing so. 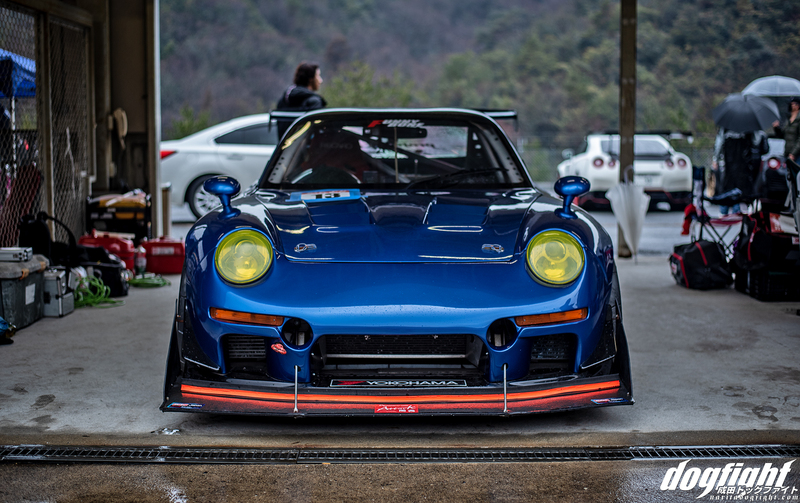 Speaking of serious – Kubo’s car is back in near pristine condition. 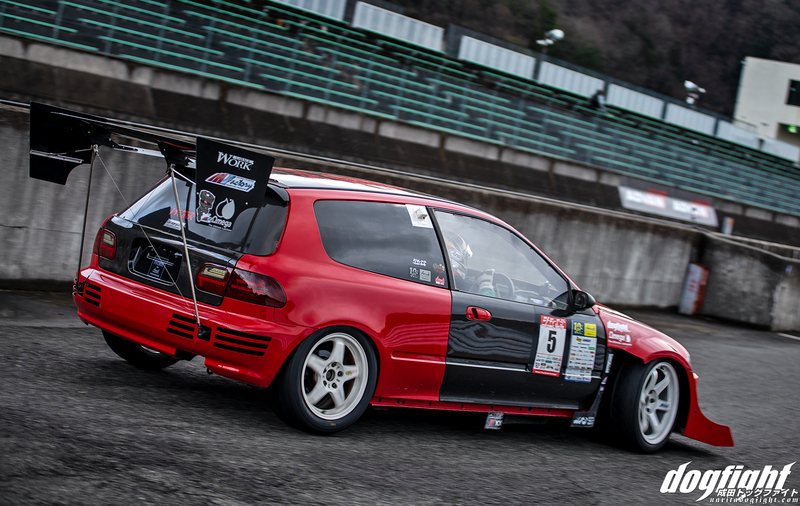 New paint and some other updated goodies on the exterior make his EG looking better than ever. He jokingly admits that the engine has remained the same for years though, and this event is no exception. The SL’s look great with the red paint and carbon doors. 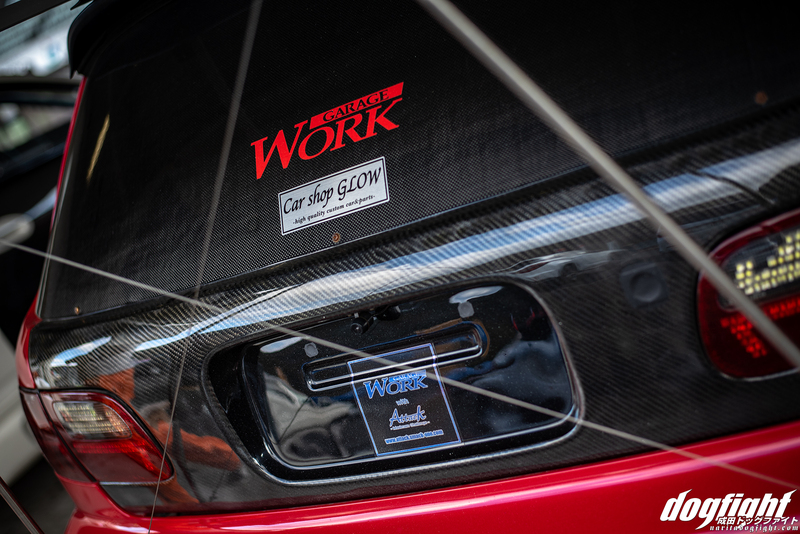 Completely carbon rear hatch and glass replacement bring the weight down significantly. 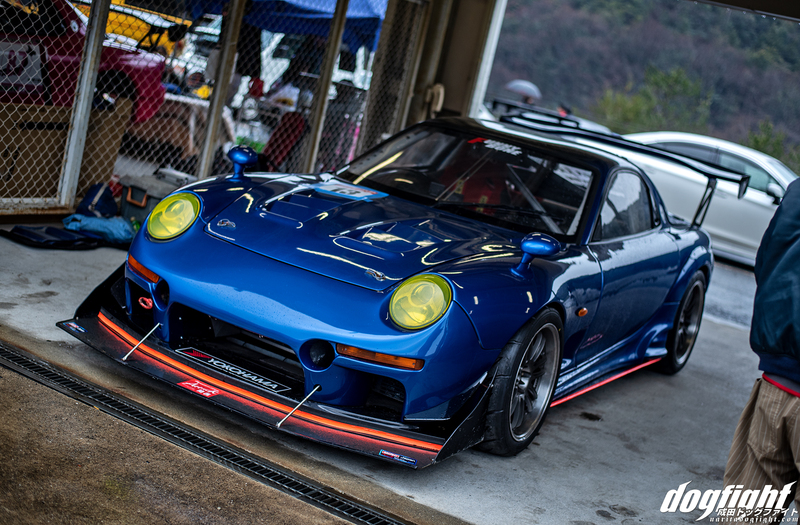 Still among my favorite EG’s – Kubo was able to achieve a 1’26.874 in the wet this year. A time that was good for 2nd place in the Vertex NA class. 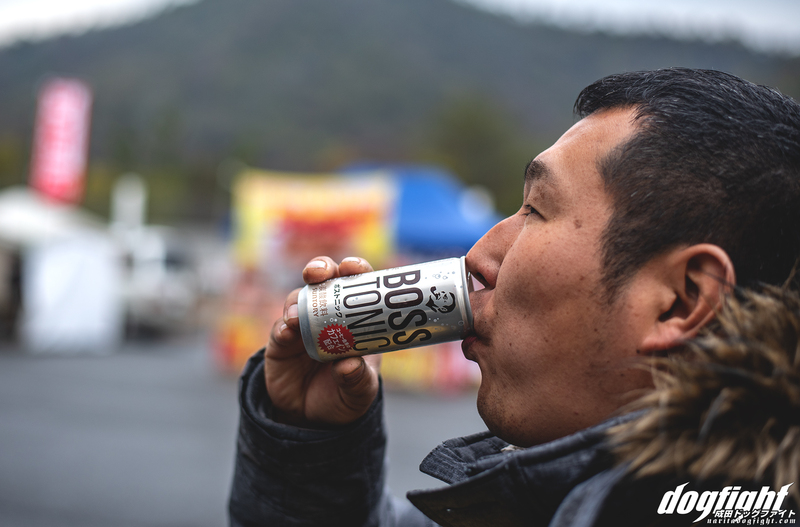 Seki trying out the new Boss Tonic – jury is still out on this one. 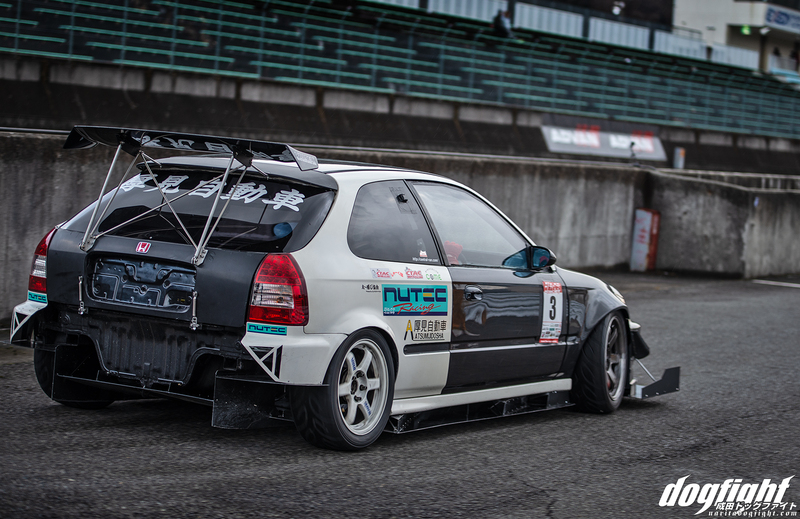 Komi’s EK9 was having all sorts of trouble staying straight on the track. Not that my opinion matters much, but I’ve really grown to like this car. Little by little it’s gone from tolerable in my mind, to something I enjoy watching. The one caveat? 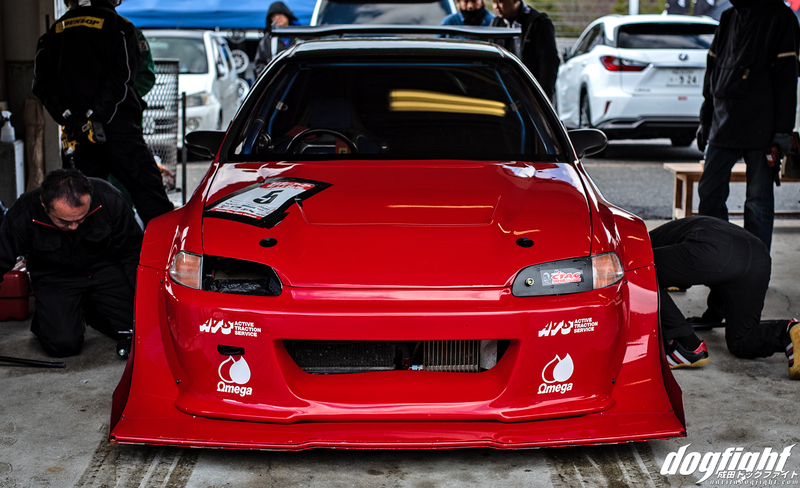 The headlights…I just can’t be okay with them. 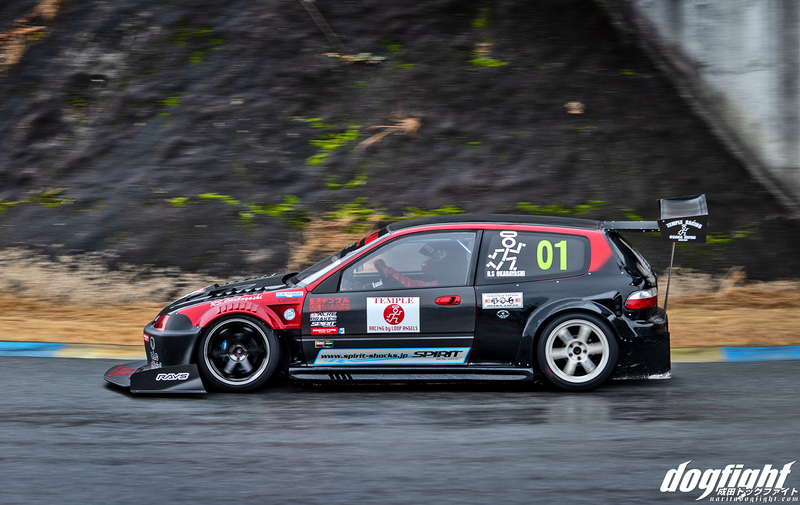 Nevertheless, the car is looking great on track and Komi was seriously ripping it around Central. Countering the entire way out of the tunnel exit as the rear end got away from him a bit as the rain continued to drop. 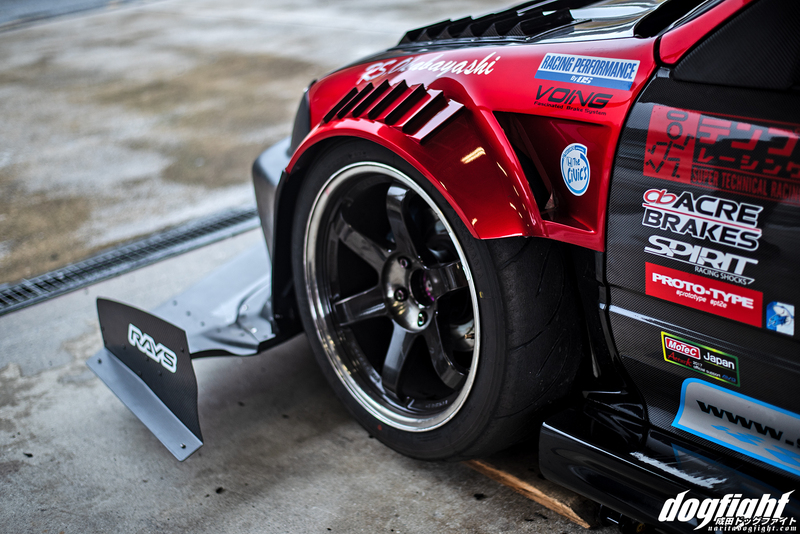 Touches like the subtle Voltex wing and the crystal taillights are the little things that make this car pretty rad. Great ride height as well with the new side-skirts. He grabbed a 1’27.797 – about a second behind Kubo. 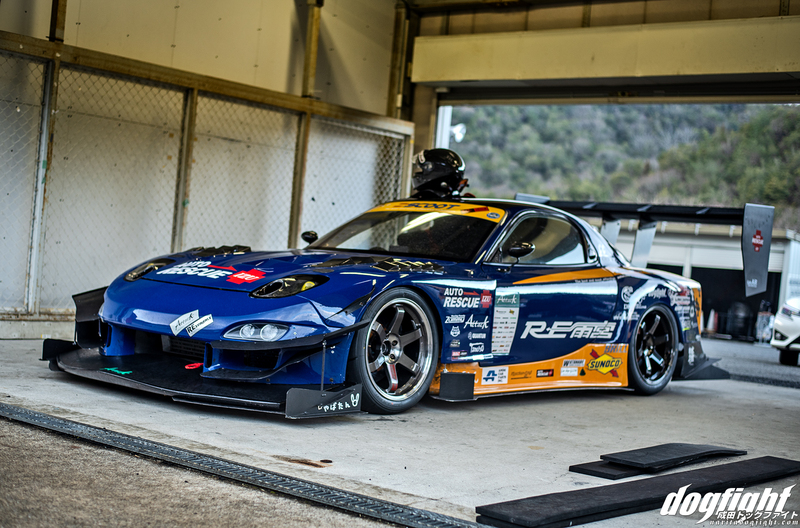 The Meishan Tires S2000 was in attendance, but I don’t think Shoutarou was driving it this day. 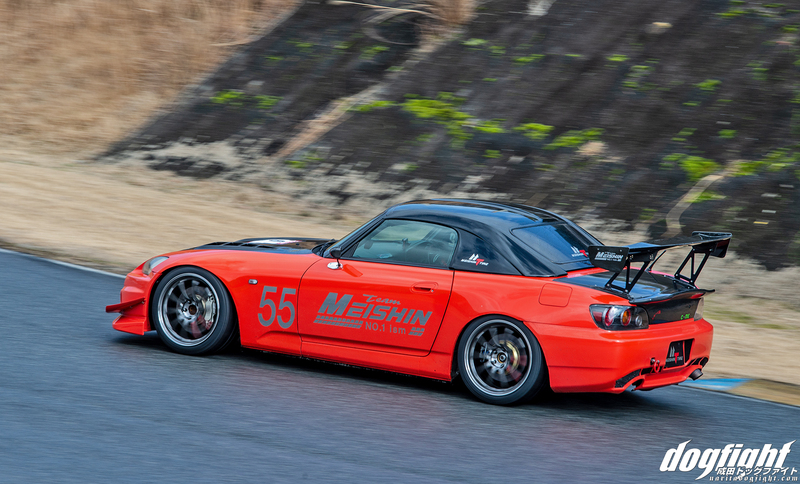 It was one of a handful of S2000’s making the event very Honda-centered. 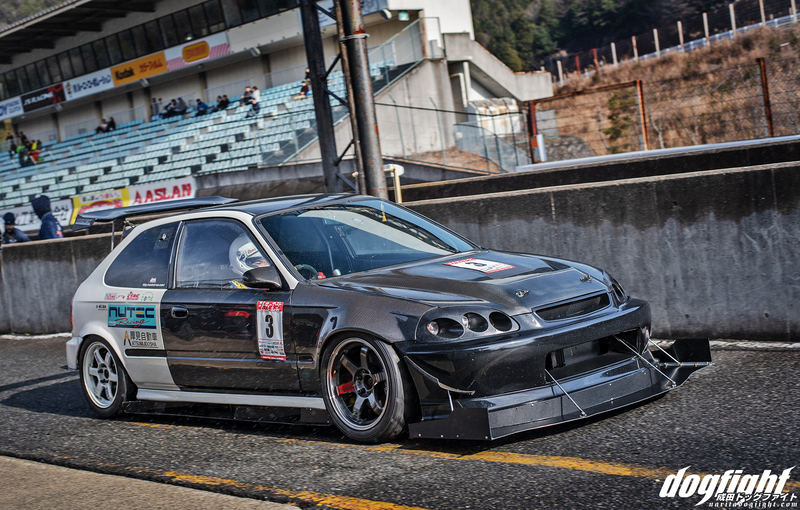 Which is the usual case for CTAC, as it’s in an area where Honda’s are very popular. No complaints from us! A conservative 1’28.726 was the best the car could do in the rain. 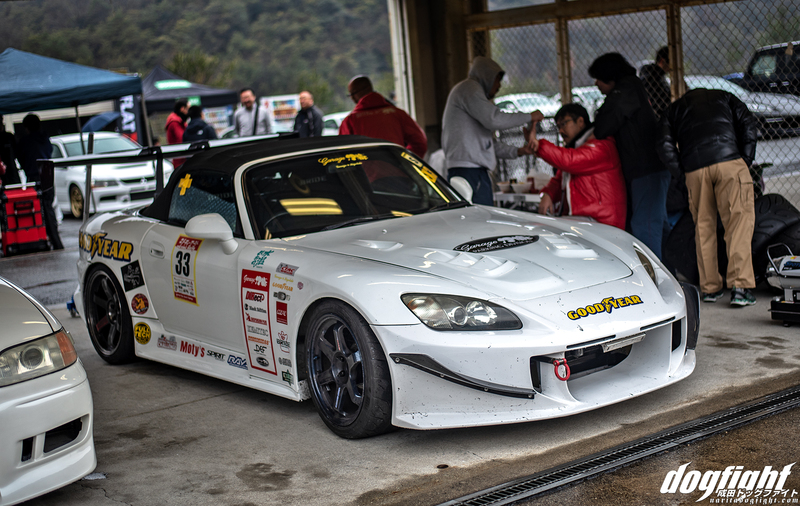 Not all the S2000’s survived the weather though, and an unfortunate incident left the Garage Ito S2000 most likely totaled. Seeing things like this is such a bummer. He’s a regular at Central, and it’s not for lack of skill; just one of those incidents that you’re left regretting after the fact. 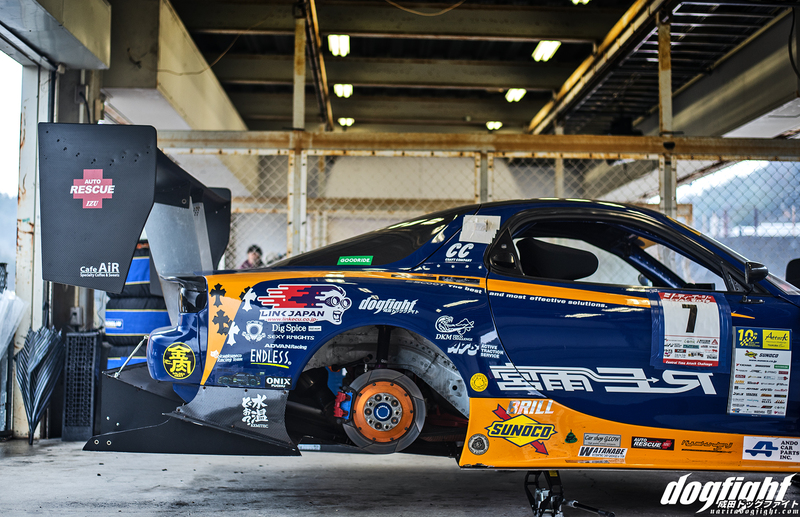 As for the Vertex Turbo Class, this year the R35 GTRs pretty much dominated the class entirely. CTAC has a separate run group for GTRs which had 8 entrants this year. While the event had 11 GTRs overall, the other 3 chose to run in the Vertex Turbo SL class, and took first, second and fourth respectively. 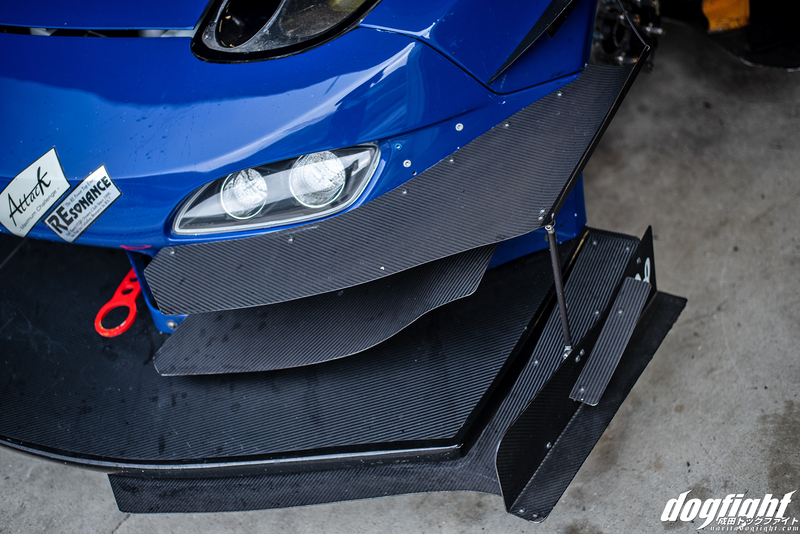 I guess having AWD gave them an advantage over the high-powered RWD cars. What good is power if you can’t connect it to the ground? Endless always has a large showing at this event, and with the exception of the Auto Select cars, usually take home top honors in the GTR class. 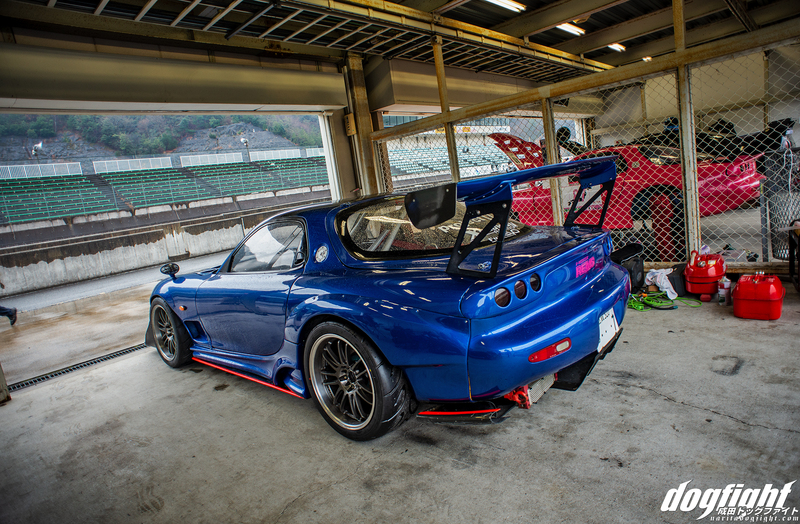 There’s a few cars that I never mind getting to see often, and Ando’s FD falls into that category. 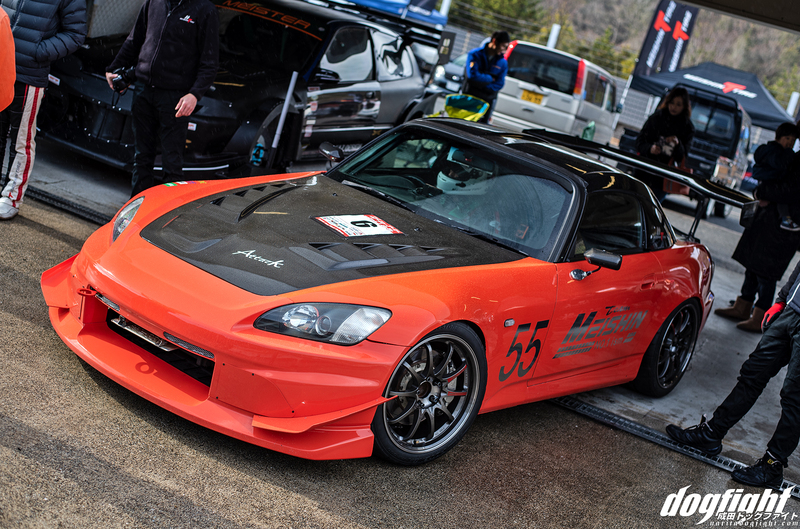 It’s uncommon in so many ways and he really differentiates himself from other FD builds throughout Japan. Ando himself is such a character and for whatever reason his car matches his personality to a T – always good seeing him. I had printed out a poster of him from the 2017 Attack Championship at TC2000 that I’d been waiting to give him, but didn’t want to ship because it was going to cost me like $60 for some reason. I figured I’d be back to Japan soon and just hand deliver it. He was pretty stoked on it. 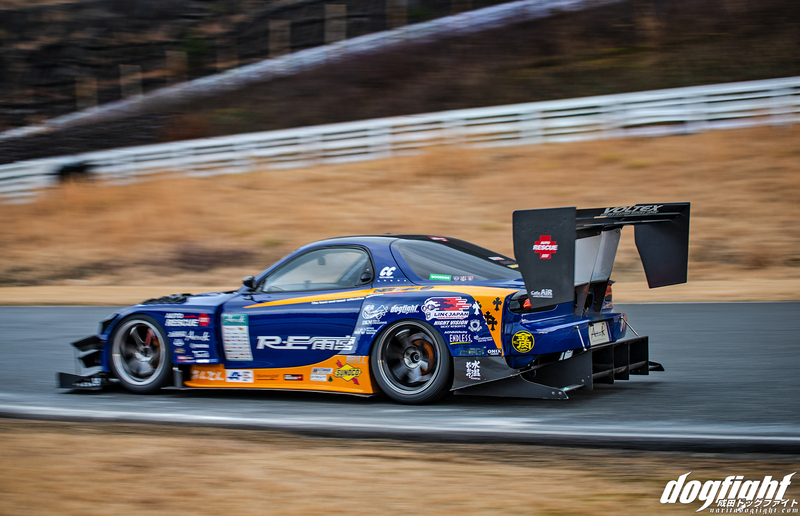 Ando was able to split the group of GTRs and take third place in the Vertex Turbo Class with a 1’27.783 – he was having a hard time getting on throttle without losing the car in the wet. Masaki Kitajo and Yashiro Ando; the rotary boys. 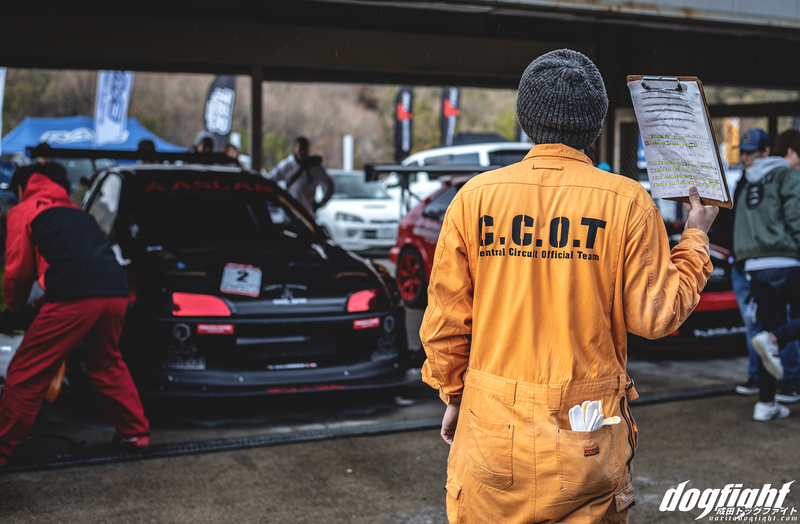 Masaki had come to CTAC to spectate since he’s still working on his own car. We actually flew back to the US around the same time. He works in construction, specifically cement development, and there was a conference in Las Vegas that he attends annually. 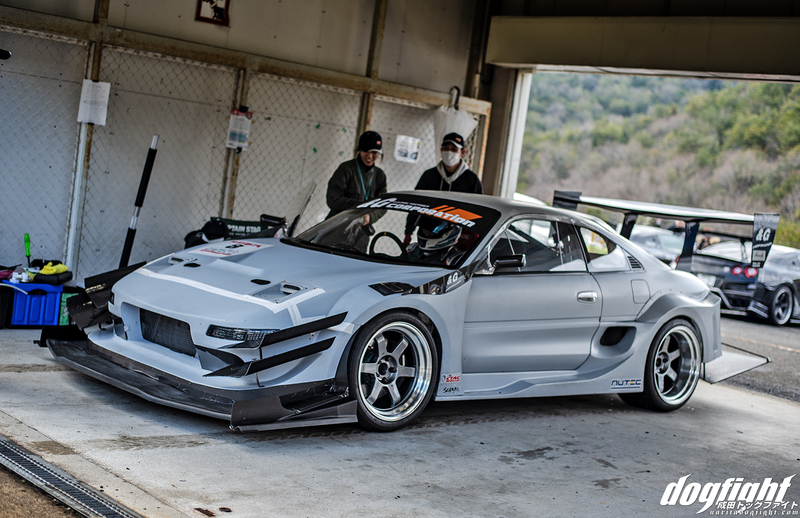 Nakajima and the &G Corp MR2 made a reappearance looking a bit more polished than last year. 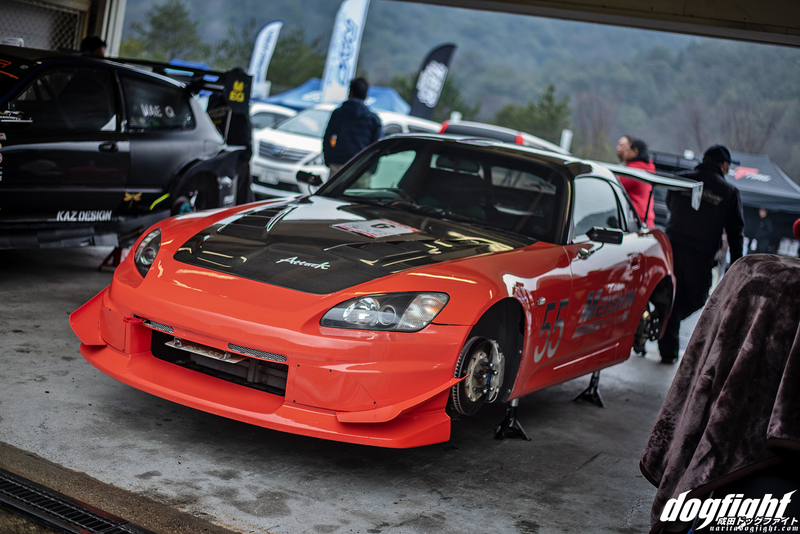 The SW20 was able to grab a 1’31.733. Again, not indicative of what it is capable of due to the weather. Ma-kun in the Auto Service Bomber support FD, clad in what I thought was the somewhat rare Super Greddy kit from RE-Amemiya, but now that I’m looking at it I’m not sure if that’s correct. I’m not super familiar with other fixed-headlight conversion kits. At any rate, it was looking pretty good albeit didn’t get much run time in for the day. Only being able to put down a 1’32.147 to round up the bottom of the Vertex class. 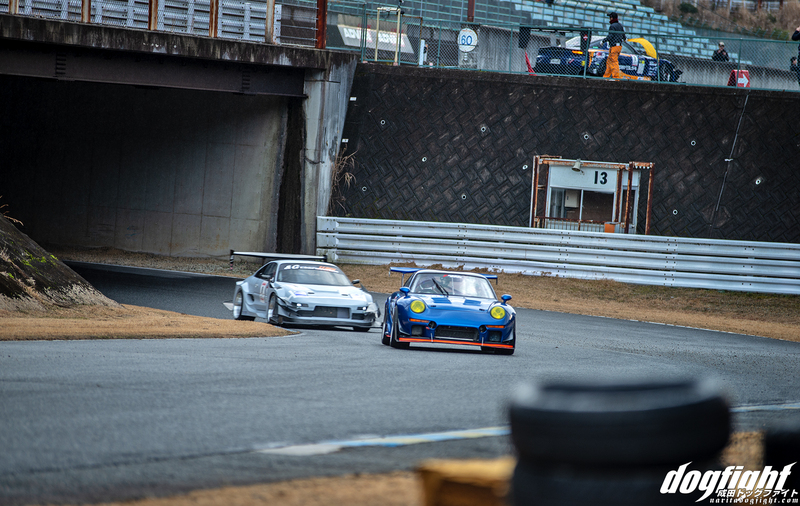 It did have some good sounds exiting the tunnel though – Nakajima in close tow. Some good spirits despite the less than ideal conditions. Thanks for hanging in there during our hiatus. We’ll be back soon with the remaining class results and continuing coverage of current events around Japan.